Badrinath Dham is considered to be one of the “Four Dhams” in the Uttarakhand . A highly revered pilgrimage destination in Uttarakhand, it plays host to the Badrinath Temple, dedicated to Lord Vishnu. This sacred place is associated with numerous myths and legends. According to a popular legend, Lord Vishnu came to the area “Badri Van,” or berry garden, after being reprimanded by Narad for being immersed in worldly pleasures. Another legend associated with this temple states that Badrinath was the domain of Lord Shiva, and Lord Vishnu unseated Lord Shiva from here to Kedarnath. It was re-established as a main pilgrimage site by Adi Shankara in the ninth century. The Badrinath temple is also a holy pilgrimage site for Vaishnavites. 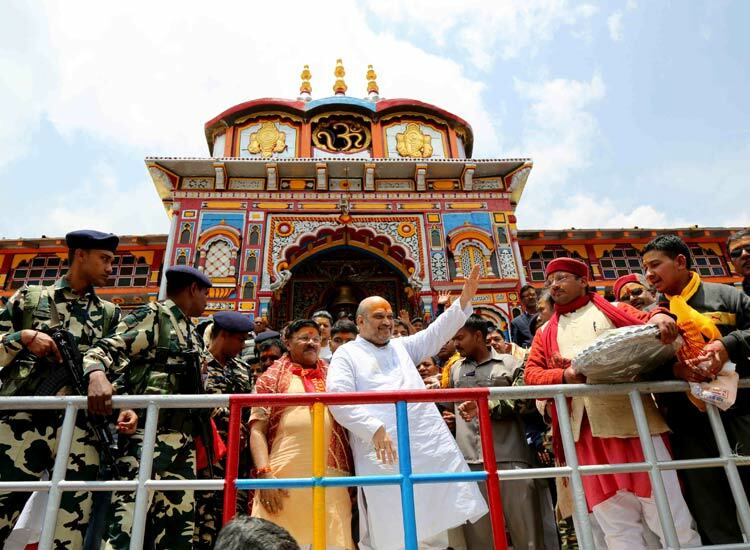 The opening and closing dates of Shri Badrinath Temple has been announced by the priests. The temple doors are closed around October (dates are almost fixed on the occasion of Vijayadashmi), at the advent of winters and are opened again for worship around last week of April (dates are decided on Basant Panchami). By Flight: Jolly Grant Airport is the nearest Airport to reach Badrinath Dham, situated at a distance of 314km. Jolly Grant Airport is well connected to Delhi with daily flights. Badrinath Dham is well connected by motorable roads with Jolly Grant Airport. Taxis are available from Jolly Grant Airport to Badrinath Dham. By Train: The nearest railway station to Badrinath Dham is Rishikesh. Rishikesh railway station is situated 295km before Badrinath on NH 58. It’s well connected by railway networks with all the major destinations of India. Trains to Rishikesh are frequent. Badrinath is well-connected by motorable roads with Rishikesh. 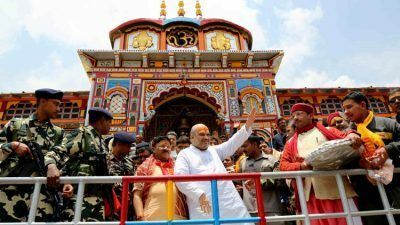 By Road: Badrinath Dham is well connected by motorable roads with major destinations of Uttarakhand state. Buses to Haridwar, Rishikesh and Srinagar are available from ISBT Kashmiri Gate. Buses and Taxis to Badrinath are easily available from major destinations of Uttarakhand state like Dehradun, Haridwar, Rishikesh, Pauri, Rudraprayag, Karnaprayag, Ukhimath, Srinagar, Chamoli etc.